The quality of education defines and determines the quality of life that a society aspires to lead. Recognizing the importance of improving the quality of education in the schools, there have been several government and non-government efforts across the country spanning many years. Though these efforts have, to some extent, addressed issues of basic infrastructure and access, aspects such as, equity, teacher capability and quality of learning continue to present a serious challenge to these ongoing national efforts. As a response to this scenario, AMAN has taken up the Cluster Education initiative in collaboration with the Rajiv Gandhi Foundation to create an environment of transformative learning wherein children are respected as creative, unique individuals who are enabled to identify their inclinations, interests and develop their innate capabilities. 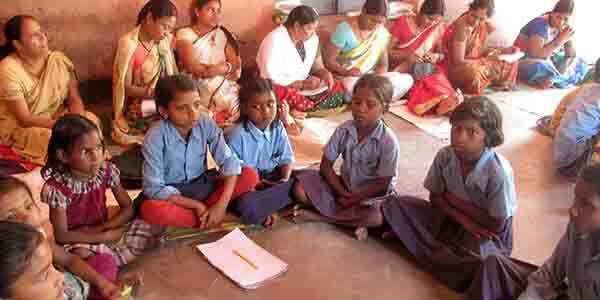 AMAN in collaboration with the Sarva Shiksha Abhiyan, Government of Bihar implemented an approach to education that focuses on the core principles of learning to enhance effectiveness in learning while supporting processes to develop teacher abilities. It focused to develop an effective model of assessment that provides feedback on the learning level of the individual learner. The project established a ‘learner centred’ schooling process in which every learner is self-directed to develop their innate capabilities. New approaches for teacher’s empowerment that promotes a higher level of motivation among teachers to facilitate learning in children and encourages collaborative learning among the teachers were introduced. The project reached out to three clusters: Nawabganj, Dharaut and Jhamanbigha of Makdumpur block in the district of Jehanabad. Around 3858 children; 1880 girls and 1978 boys; from 37 schools were benefitted under this initiative.